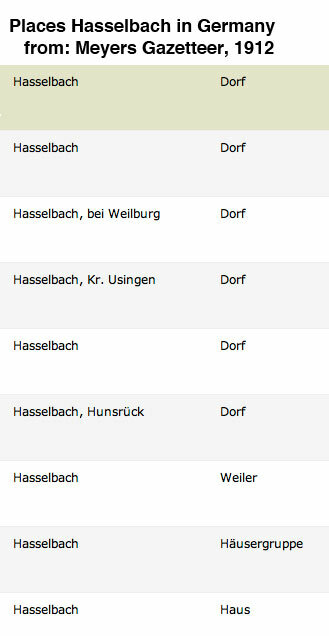 As introduced elsewhere, I wanted to find as many places as possible named Hasselbach or Haselbach in Germany and Austria. I am still looking for a good source for Austria, but I found a good one for Germany. 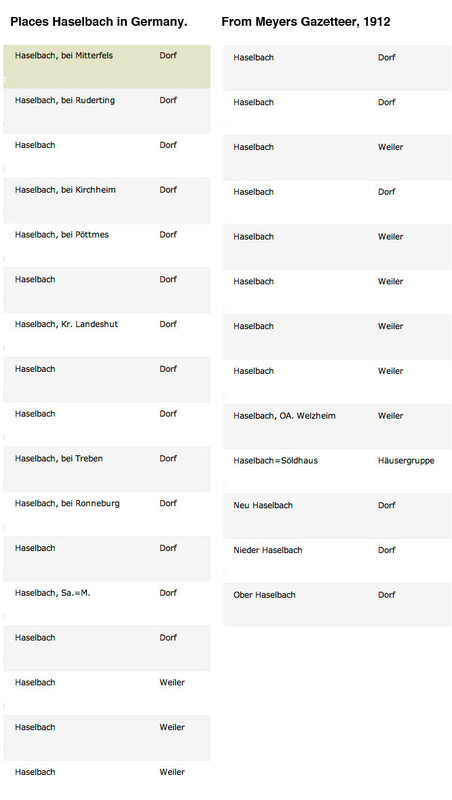 These screen-captures from ancestry.com are the results of on-line searches of Meyers Gazetteer of the German Empire, 1912. There is a wealth of information to be mined from this resource but it is partially hidden behind dense German abbreviations and Fraktur typeface. It is a task far from impossible, but will take more time than I have at present. For now, here are the returns of the searches. A Dorf is a village, a Weiler is a hamlet, a Haus is a house, and a Haüsergruppe is a group of houses. Peter Hasselbacher, 1/1/11. Contact me.